Google hasn't made any clear indication on whether or not it will eventually allow users to stream local videos through Chromecast. At this point we know the company doesn't want third party app developers adding this functionality, likely due to legal reasons and the negative effect it could present with prospective future content partnerships. Last week we reported on developer Koushik Dutta's AllCast APK (otherwise known as AirCast). The app allowed users to stream local video and audio content directly to Chromecast from their device's gallery, Dropbox or Google Drive. The developer had demonstrated several betas of the mod before releasing the APK for a few days last week to test out. Now Dutta says Google's new Chromecast software update has broken the functionality he created. "Heads up. Google's latest Chromecast update intentionally breaks AllCast," Dutta wrote on his Google+ page. "They disabled 'video_playback' support from the ChromeCast application." He goes on to note that this is the second time the company has tried to stop the ability to play media from other sources through Chromecast. He also said that this move confirms his suspicions that the Chromecast environment won't be as open as he would like. "The policy seems to be a heavy handed approach, where only approved content will be played through the device," Dutta said. "The Chromecast will probably not be indie developer friendly. The Google TV team will likely only whitelist media companies." While this may be true and there's no doubt this kind of functionality would be nice, Google seems to think the device's tab casting ability should suffice. 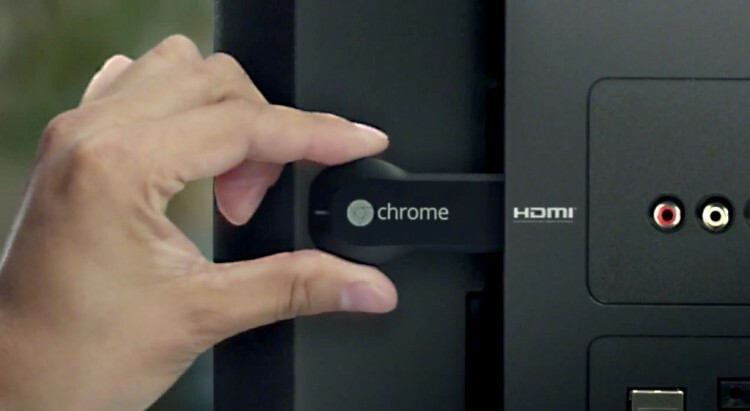 It allows users to view anything through Chromecast you can pull up in a Chrome browser window. Either way, hopefully Google's prospective partnerships with the rest of the major content providers, like HBO and Hulu, will come to fruition sooner than later. Koushik Dutta's AllCast APK download is still live on his Google+ page, but he notes that it "probably won't work" anymore.